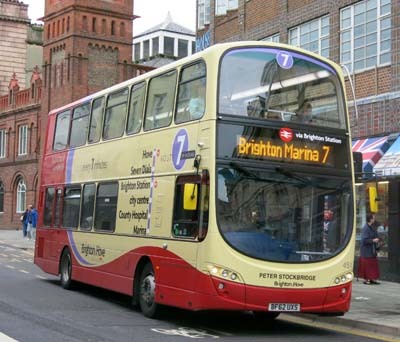 Connections with Brighton and Hove : Peter Stockbridge was a teacher who gained fame late in life as an actor after he retired from working in schools. Born in 1920, he trained as an actor before switching to teaching. 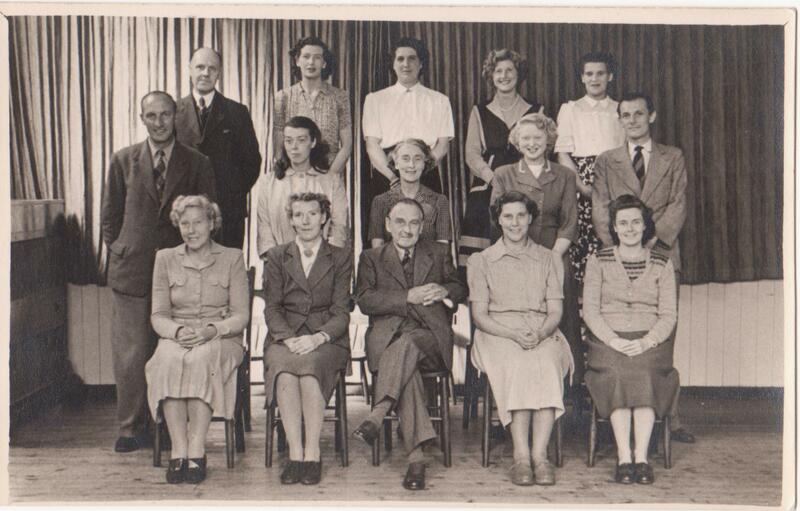 He taught in Brighton from 1948. Former Brighton Mayor Francis Tonks remembers teaching with him at Moulsecoomb Secondary School, regarding him as a good friend and colleague. 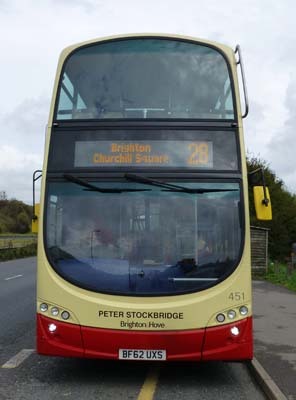 Peter Stockbridge also taught at the Secondary Technical School in Brighton and at Stanley Deason High School. He then became a full-time actor, getting recognition for a one-man show in which he played the writer and TV personality Malcolm Muggeridge. People who knew Muggeridge, a long-time resident of Sussex at Robertsbridge, said the likeness was uncanny. He appeared in many films TV dramas, commercials and in stage plays in cities such as London, Bath and Chichester. 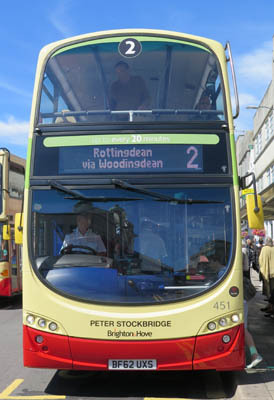 When Peter Stockbridge died in 2007 aged 87, more than 350 people attended the funeral. He had been acting so recently that his last appearance on TV went on screen after his death. 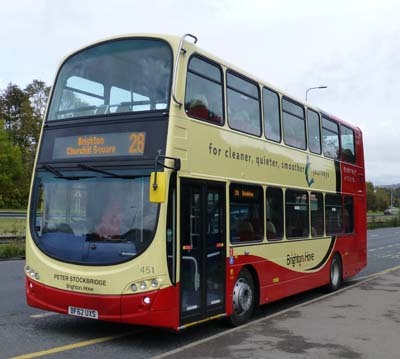 451 Volvo Gemini - carried name since delivery in September 2012. 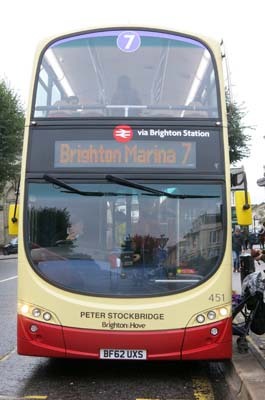 Route 7 branding added August 2015. 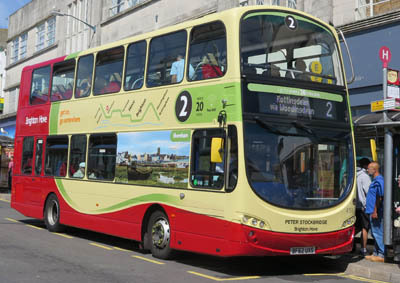 Repainted into Route 2 livery August 2017.